This booklet gives you the explanation and step-by-step for becoming Universal Healing Tao Instructors which includes Agreement, Evaluation of Instructor Trainees, Questionnaires, Certification Requirements for all Universal Healing Tao Four Healing Arts and Certification Form. There are 43 pages with over 5 color illustrations and images. You will become familiar with the evaluation requirements, the evaluation sequence and the complete evaluation process. 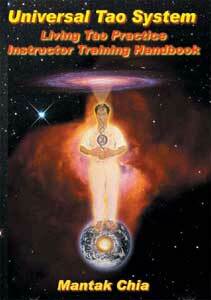 This booklet includes the complete evaluation sheets for the following Living Tao Practices: Microcosmic Orbit (M), Iron Shirt Chi Kung I (I1), Iron Shirt Chi Kung II (I2), Bone Marrow Nei Kung (BM), Cosmic Cleansing (CC), Healing Love (HL), Tao Yin (Y1-2), Tai Chi Chi Kung I (T1), Tai Chi Chi Kung II (T2), Tai Chi Chi Kung III (T3), Fusion of the Five Elements I (F1), Fusion of the Five Elements II (F2) and Fusion of the Five Elements III (F3).